Hammering plants is full of surprises. You'll get beautiful results with very little effort and your child will be getting a valuable science lesson in the process. 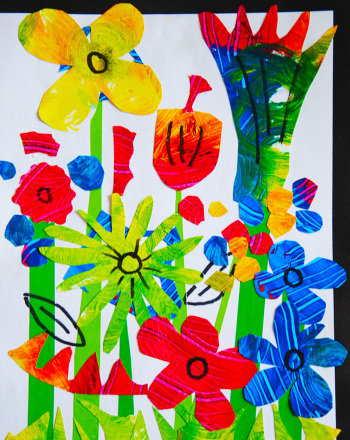 This in an activity that you and your child can do together to make some incredible artwork and, while you're hammering away, your child will be learning about the natural dyes and different parts of a plant. 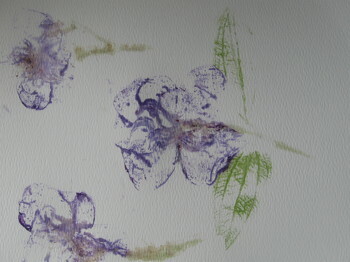 Each flower is unique in how it will look when it is imprinted onto paper or fabric. This is a great activity to do in the spring or summer when so many flowers are in bloom. Set your board on a stack of newspapers and then place a paper towel over your board. It's a good idea to do this on a sturdy surface that can handle the force of some pounding, like a countertop or a stable desk or table. Next, have your child place the white paper down on the paper towel and arrange whatever flowers she is using in a particular position. As she does this, you can discuss the different parts of a plant with her. Help your child to completely cover the flowers with tape. Then cover them with another paper towel. Hold the hammer near the head and gently hammer the plant completely (this part should mostly be done by the grown-up, but if your child has good hand-eye coordination, you can let her give it a try). The pigment should bleed through showing you where you have hammered. Make sure you have hammered the flower entirely. Once you and your child have hammered everything, leave the plant taped onto the paper. Turn the paper over and use a warm (not hot) iron to gently press the paper. The heat sets the pigment. Make sure your iron is warm but not hot because you don't want to scorch the paper. 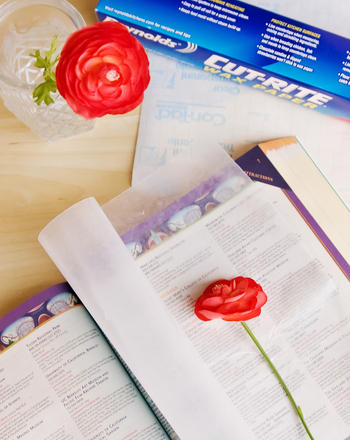 Turn the paper over again and carefully peel off the tape and flower. If there is some plant material left on the paper, gently scrape it off with your finger. If you want to hammer some flowers onto fabric instead of paper, follow Steps 1 through 3. Next, turn the fabric over so that you are hammering the back side of the fabric. When you have hammered everything, press the fabric with a hot iron for 20 seconds to set it. Enjoy the beautiful work of art and display it with pride! See if your child can guess what colour her flower will leave when it is hammered. Can she identify the pistol? The stamen? The pistol is the female receptacle of the flower that waits for the pollen so that pollination can occur. The stamen holds the pollen. Often flowers can have multiple stamens. If you like, you can bring out a book that has pictures of the different parts of a flower for you and your child to look through as you do this activity. 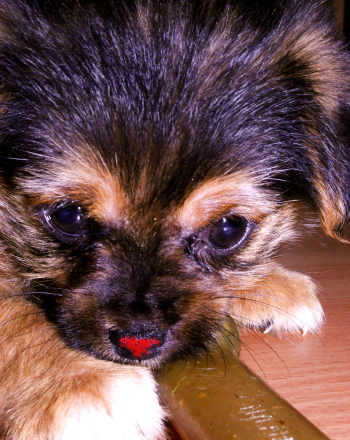 In this project, we take several dogs' nose prints and discover just how unique they are! 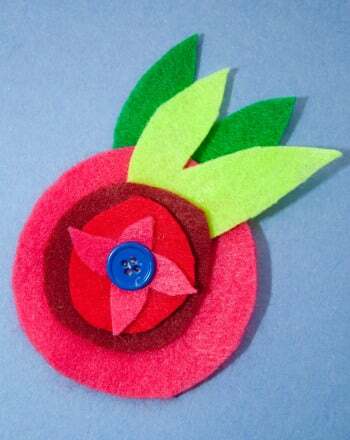 Your child can create a flower brooch that will look fantastic pinned to clothing, or even a bag. They also make great gifts. Have your mathlete use addition, subtraction, and reasoning skills in these flower-themed word problems. Kids will use maths to help Erin and Eli in the garden. Can you guess which flower the bee will choose? With this exercise your child will learn how to determine the likelihood of the bee choosing a certain flower. 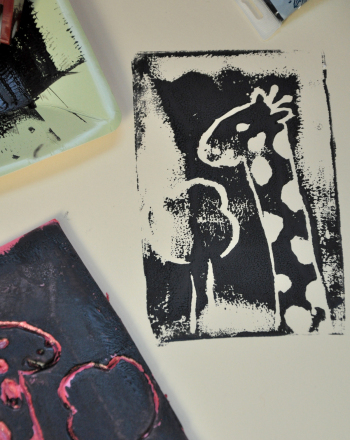 Take some inspiration from the past and create some wood block prints with your fourth grader.